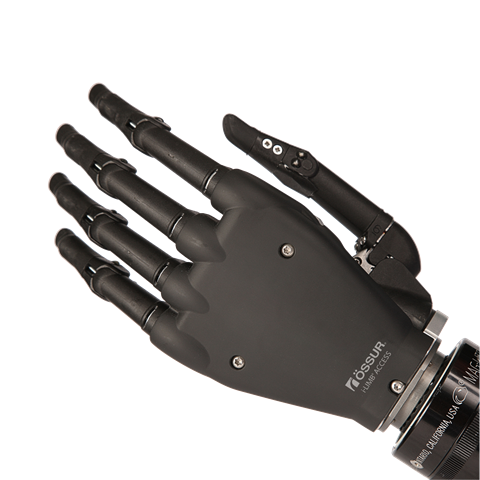 A myoelectric, multi-articulating prosthetic hand that offers five individually powered digits and manually rotatable thumb, designed for a broad range of activities. App control provides instant access to quick grips™ at the touch of an icon. 12 different grip options available. For lamination into prosthesis for QWD connection. For lamination into prosthesis with WD connection.